Yesterday’s update for No Man’s Sky was huge. It fixed a myriad of lingering issues; players can now recover old saves and have new options to set whether or not other players can attack them. 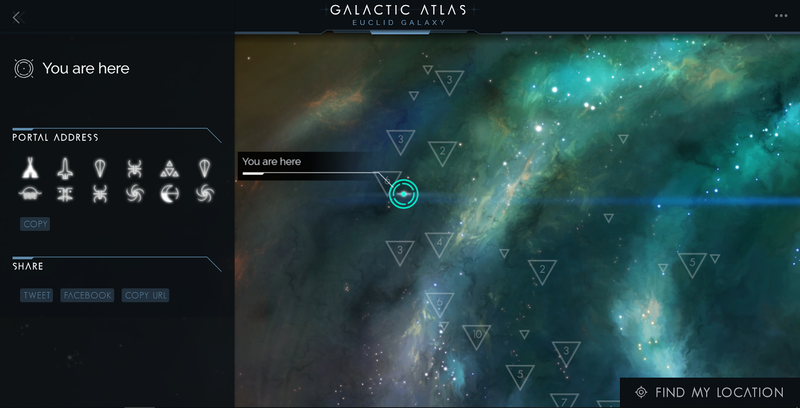 It also introduced some new features, including the long awaited Galactic Atlas. 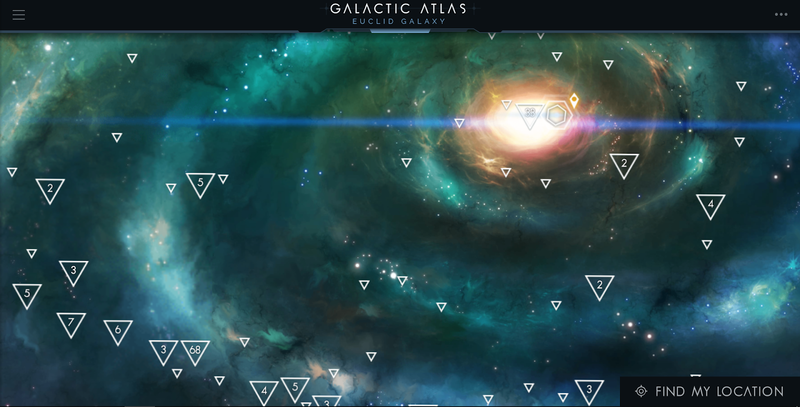 The Galactic Atlas is a like community map. Before this update, No Man’s Sky players relied on their own maps, like this tool made by the player Pahefu, which could help players map out how many jumps they needed to reach a particular community hub or location. The Hello Games Atlas doesn’t include that information, but it does have a couple other neat features in it. When you first open the map, you see the entirety of the Euclid galaxy, where most of the players who want to participate in in-game civilisations congregate. The map is dotted with diamonds, each one representing a different civilisation. As you zoom in, the diamonds change into triangles. These are the notable planets and locations that players sent into Hello Games to be marked on the map. Think of it as your guide to intergalactic tourism. Unfortunately, when you click on these planets, many of them still describe their state in the previous update, without taking into account the changes that may have occurred since the Next update. Still, each location comes with a brief description of what it was like, as described by the submitters. There are pictures of notable locations, plants or animals, so you can learn what these places used to be like. Scrolling through planets, I found one named Mia, which the submitter said he’d named after his significant other. Now it has been memorialised forever. You can also use the Atlas to find out your current location in relation to your surroundings. Lost players can use a Signal Booster to find a string of numbers that they can then turn into portal coordinates using this website. 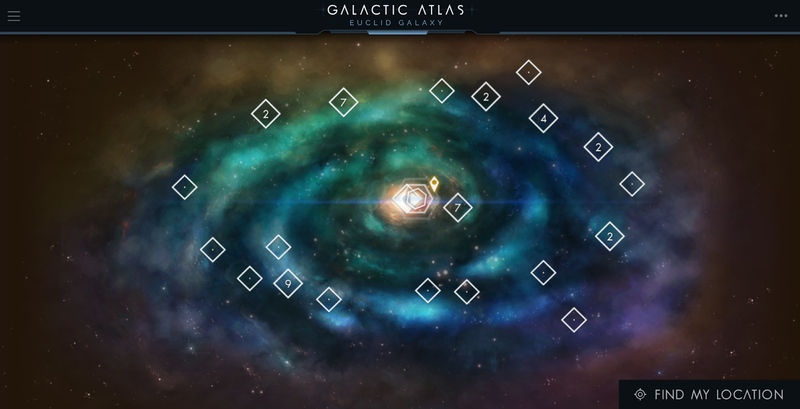 From there, players just type the address into the Galactic Atlas, and voila. All of the in-game civilisations and landmarks will also have their portal coordinates in the description, so if you’re near a portal, you can visit these locations, no problem. If you’d rather fly there, you can still use Pahefu’s Pilgrim Star Path website. It’s awesome to see Hello Games showcase what the No Man’s Sky community has done in this way. Hopefully we’ll see some more current landmarks added to the Atlas as time goes by. I’m always looking for new places to visit.